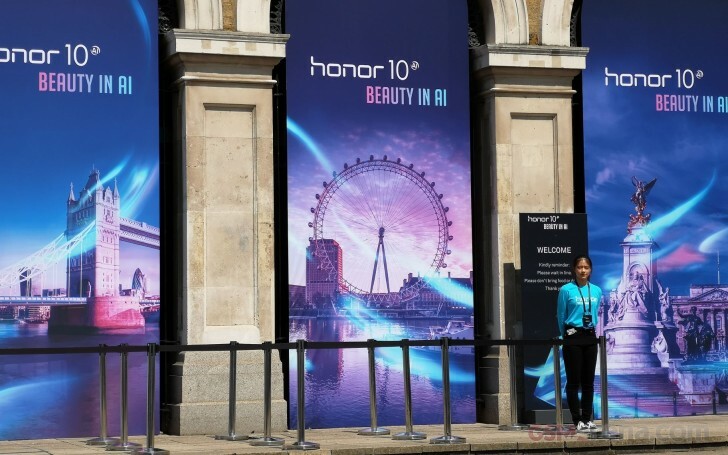 Announced a few weeks ago in its homeland, Huawei's Honor 10 has now made the trip to Europe. We were there for the launch party in the UK, and we got to spend some time with it on the event floor gathering initial impressions to share with you. But first let's go over the specs. For starters, it's the Kirin 970 in charge - the Honor 10 gets Huawei's in-house flagship-grade chipset, much like the Honor View 10, careful not to mix up the two. There are 4GB of RAM and 128GB of storage on board, but don't be surprised if those numbers are different in your particular market - like 6GB of RAM, or 64GB of storage. In any case there's no microSD slot, which is a bummer. The similarity of the non-View 10 to the View 10 continues into the camera department, where the Honor 10 brings a 16MP primary cam that shoots in color, and an extra black and white one. Only here, the monochrome camera is 24MP as opposed to the View 10's 20MP. On the front there are even more megapixels, too many perhaps - the 24MP camera seems to have been snatched off straight from the P20 (and we weren't exactly thrilled with this one). 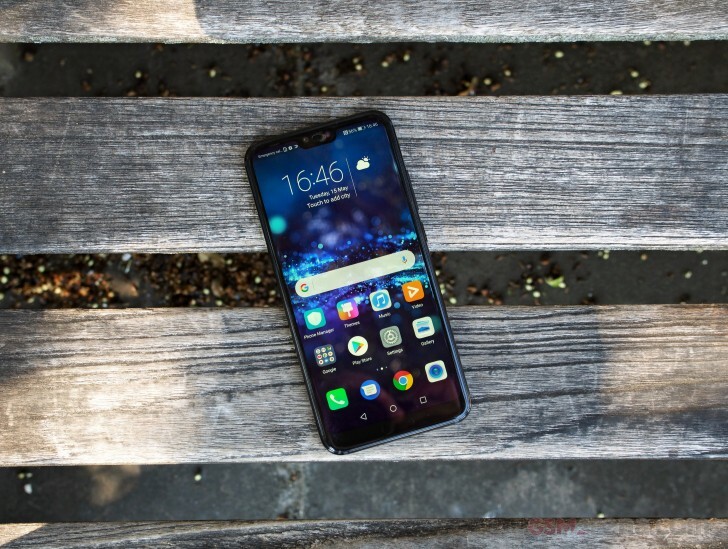 The Honor 10 comes with a 3,400mAh battery, 10% less than the View 10, but then the display on this one is slightly smaller - it's a 5.84-inch IPS LCD with rounded corners and the mandatory notch (sigh). That's most of the important numbers taken care of, let's move on to the hands-on area.